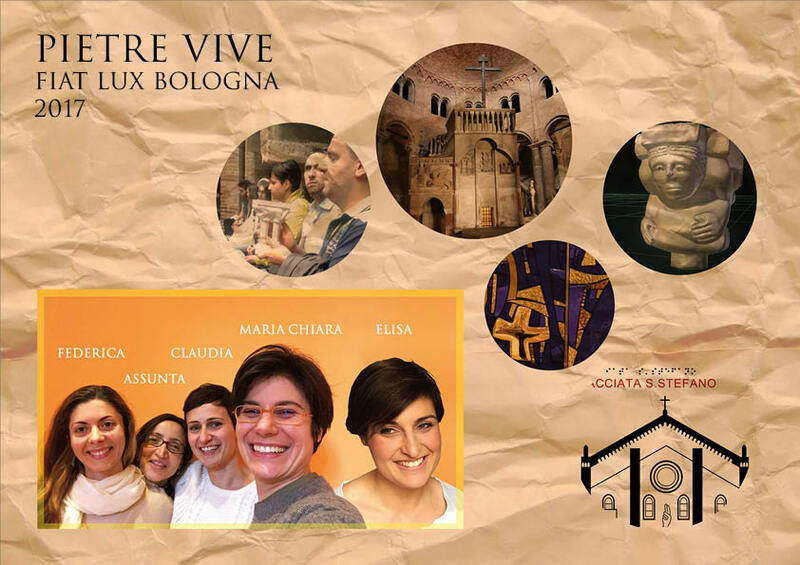 Living Stones Fiat Lux was founded in Bologna in 2016 with the desire to include, in the proclamation of the Word of God through art, blind and deaf because the art that is prophecy leads everyone to live life in depth. Fiat Lux is a special service of Living Stones, an international community born of the urgency of putting man back in dialogue with God and of the desire to restore artistic and spiritual dignity to Christian places of worship. The free service takes place through accompanied views in the Santo Stefano’s Basilica with the aid of aids (relief drawings and 3Dprint). The service is aimed at blind, partially sighted and deaf people of all ages. We remain available for meetings in the parishes. The community is aimed at young people aged 25 to 40 and has the objective of preparing together with sighted, partially sighted, blind and deaf people, the visit service with monthly prayer meetings, training, preparation of aids and sharing. Furthermore, the community is constantly confronted with the Blind Apostolic Movement of Bologna and the Cavazza Institute. We have our community meetings on the first and last Friday of the month at 21:00 at Centro Poggeschi, via Guerrazzi 14/E Bologna. To request the service and stay updated on new initiatives contact us at +39 373 8022676 or bo.pietrevive@gmail.com.